Sometimes you just need someone. Someone to make you smile when you’re sad. Someone to tell you you’re beautiful. Someone to look forward to seeing you every day. Someone to call you every night. Someone to say I love you and mean it. 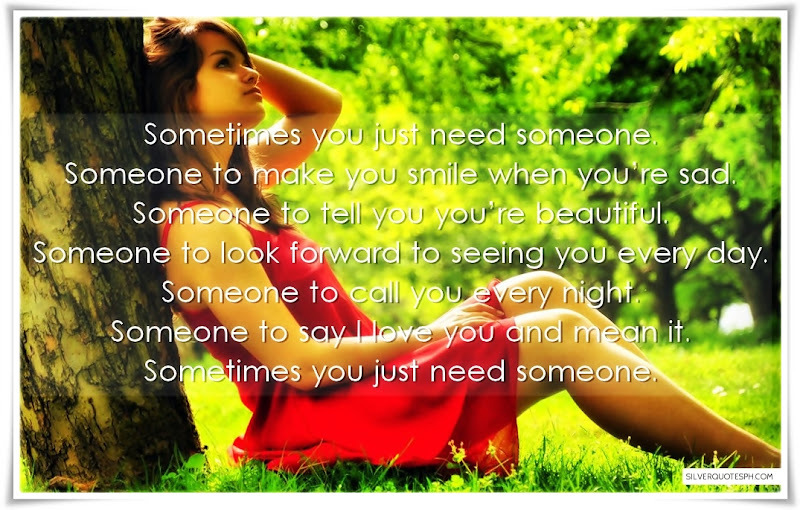 Sometimes you just need someone.